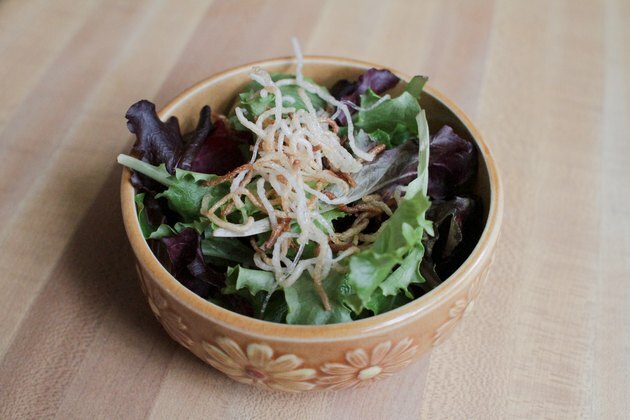 The mouthfeel of longkou noodles stands out when you first try them. 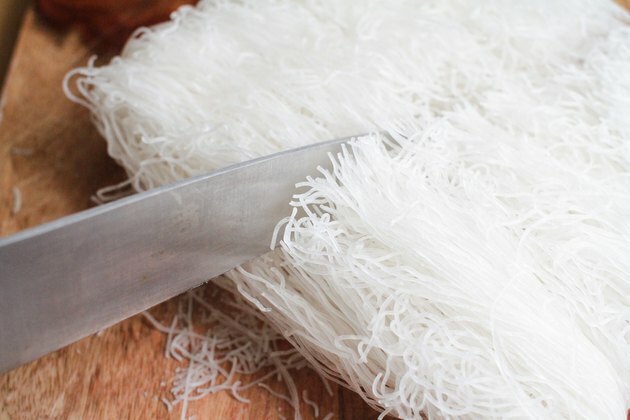 Slippery and almost weightless on the tongue, longkou, also called cellophane noodles, feel more like a garnish than a substantial part of a soup or stir-fry. What they lack in heartiness, though, they compensate for in flavor absorption. 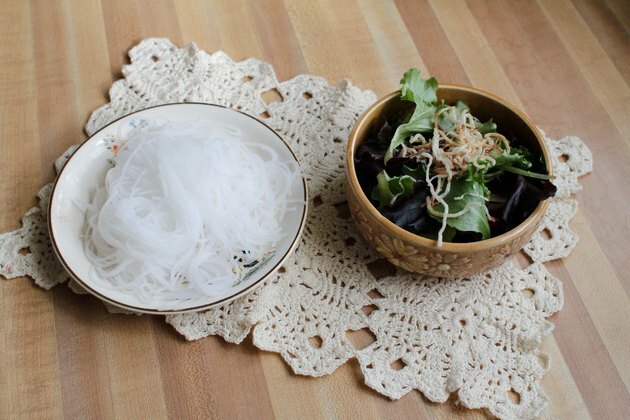 Longkou noodles only need about 2 minutes to absorb the flavors in soups or sauces. The noodles have another side, too. 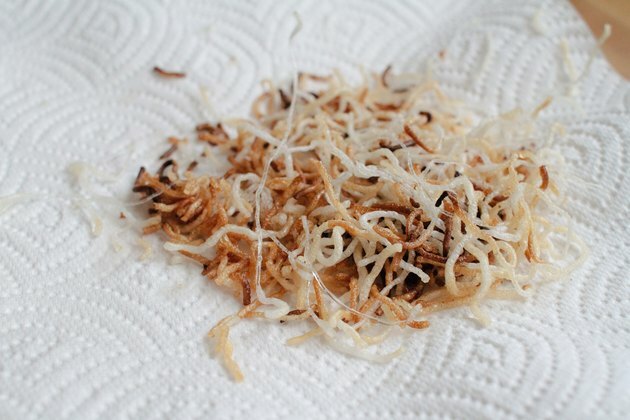 When fried, longkou noodles crisp up into thin, crunchy nests, serving as the stage for a rich sauce or a crunchy finish on top of soups and salads. Bring a saucepan or kettle of water to a boil. 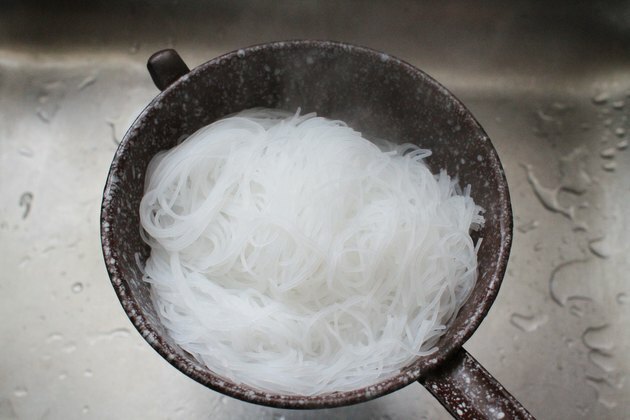 Cut the mass of longkou noodles in half crosswise and place them in another saucepan. Pour the boiling water over the longkou noodles. Let the noodles soak for about 15 minutes. Bring the saucepan of longkou noodles to a boil. 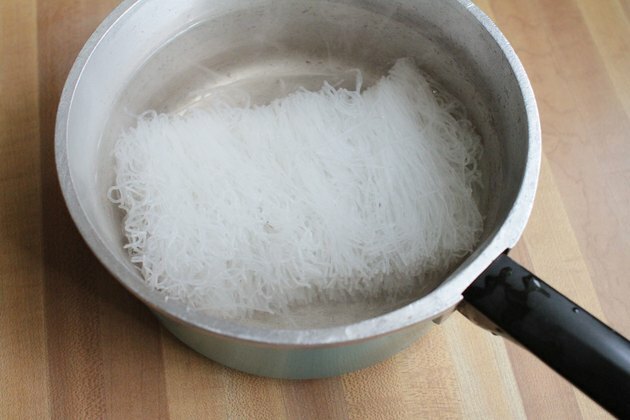 Drain the noodles well and add them to a stir-fry or soup in the last 2 minutes of cooking. 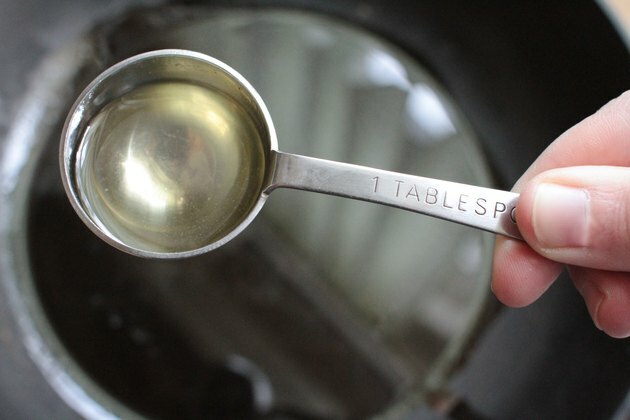 Heat a few tablespoons of frying oil in a wok or frying pan over medium-high heat. Cut the longkou noodles in half crosswise. Add the longkou to the oil after about 4 or 5 minutes of heating. Fry the noodles until they turn golden brown, stirring once or twice, for about 2 minutes. 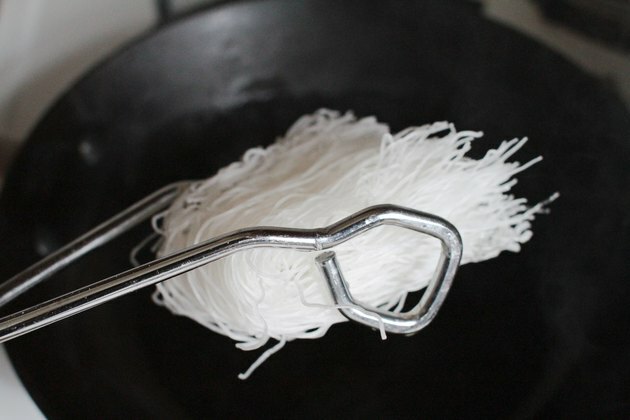 Remove the noodles with a slotted spoon and place them on paper towels to drain. Transfer the noodles to the serving plate and use them as a nest for sauces or add them to the top of another dish for a crunchy garnish.